This requires familiarity with HTML as support for this feature is limited. 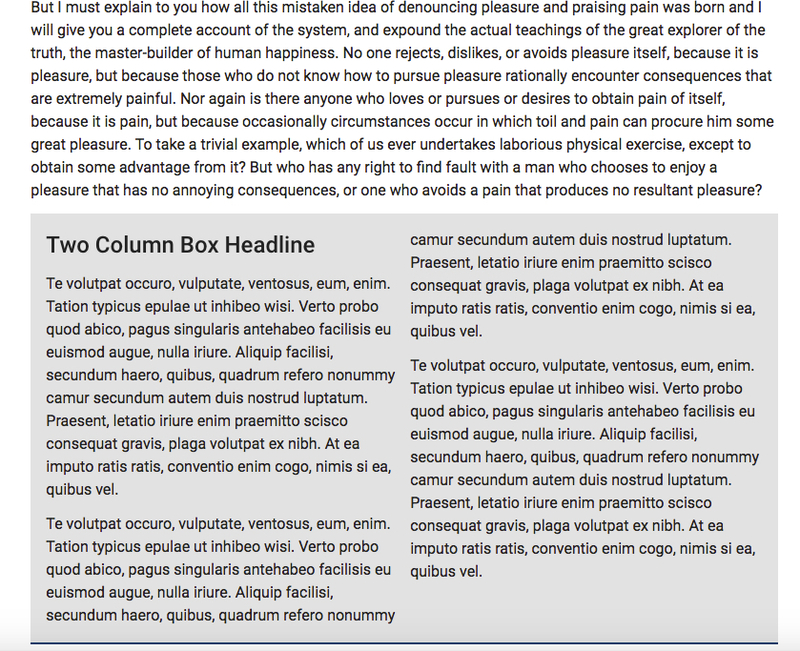 If you wrap several paragraphs (or other HTML elements, such as lists or headlines) in a <div> with a class of "columns-2" the content will show up in columns. Copy and paste the following into the HTML using the "HTML" button in the WYSIWYG editor.